This article was originally published in New Statesman, and can be found here. News of the Ebola outbreak in West Africa has received worldwide press attention. The epidemic has caused more deaths than any other recorded Ebola outbreak, and has claimed 672 lives since February. Governments have good reason to be concerned; the Ebola virus has a mortality rate of 90 per cent, and can be transmitted by human to human contact. In the UK, the threat of the virus has resonated; the Foreign Secretary, Philip Hammond, chaired a Cobra meeting on the topic this afternoon, whilst a man was tested for the virus at Birmingham Airport. The virus has an incubation period of between 2 and 21 days, and initial symptoms characteristically include fever, vomiting and diarrhoea. So, should we be worried? 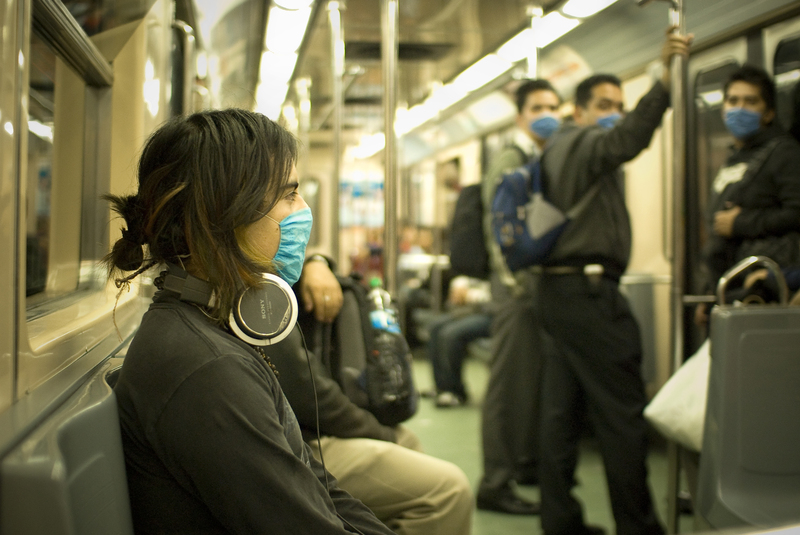 According to the government’s Chief Scientific Advisor, the increasingly “interconnected” world has heightened the threat of global pandemic. Indeed, the Daily Mail were keen to publish an article entitled “How deadly Ebola has spread across the globe”, accompanied by a world map with countries highlighted in an alarming red colour. Yet, when you analyse the map, you find that many of the highlighted countries are where patients have been tested for Ebola. Closer inspection reveals that all confirmed cases are so far limited to Western Africa, suggesting that media outlets are slightly exaggerating the threat of global pandemic. Moreover, the threat to the UK seems even more distant when considering the disease is only transmitted by contact with bodily fluids, and is thus easily preventable with basic medical hygiene. The use of sterile equipment and safe burial practices are cited by the World Health Organisation as measures that need to be implemented to prevent further outbreaks. Considering the medical standards we benefit from in the UK, such media sensationalism is perhaps slightly misplaced. It is true that the current outbreak is the most deadly outbreak of Ebola ever recorded. However, it is worth noting that the virus has killed less than 2,300 people in its entire history, with the majority of outbreaks occurring within Africa. This is likely in part because the high mortality rate of the virus has meant that past outbreaks have been limited in scale, due to patients often passing away before the virus infected others. Nonetheless, the disease poses a substantial threat to countries whose healthcare systems aren’t as developed as the UK’s, and the high mortality rate of the virus has caused legitimate concern in the affected areas. The chances of survival can be increased by early medical treatment, and this is a reason that forced quarantines are in place in Sierra Leone. Yet such a policy directly contradicts fundamental principles of healthcare; the concept of autonomy and seeking a patient’s consent. One particular case received special attention – that of a woman who had escaped her quarantine to seek alternative treatment. The language used in the reporting of the event; an “escapee” being “hunted”, was more reminiscent of a criminal case than a medical one. Whilst forced quarantines are often justified on the grounds of protecting society, such disregard for a patient’s rights is nonetheless alarming. The issue of a society’s best interests conflicting with a patient’s own interests isn’t unique to medical emergencies. The problem has long been debated in terms of vaccination projects, and their associated “herd immunity”. By vaccinating large populations at once, the transmission rate of a disease is lowered, since there is a smaller pool of people that the organism is able to infect. Indeed, UK health experts have described a “civic duty” for patients to be vaccinated not just for their own benefit, but for society’s too. And with well co-ordinated vaccination trials potentially able to eradicate diseases like Polio, the importance of such debate is clear. The distinction between a patient’s autonomy and a doctor’s duty to protect society also affects mental health care. Under the UK’s Mental Health Act, mentally ill patients can be sectioned and administered treatment against their will. This is often, for their own benefit, although sectioning can also be implemented for the protection of others. Most worryingly, mentally ill patients aren’t protected by the same rules of consent that govern ordinary healthcare, even if their condition has no effect on their capacity to understand their treatment. In order for a patient to be sectioned, the Mental Health Act requires that a patient must have a mental disorder which requires treatment, and that this treatment is necessary for the protection of the patient or others. This problem was tested in a legal hearing in 1995, when a Judge ruled that although a 24-year-old patient was capable of giving consent, her mental illness meant that her wishes could be ignored under the Mental Health Act. In the UK, we are fortunate to benefit from high quality care, where we are given the option to determine what treatment to receive. However, it is unclear whether such standards would be maintained in a time of emergency. UK law is ambiguous about forced medical isolation during an epidemic, and the last quarantine laws were repealed in the late 19th century. Yet, only eleven years ago, MPs considered introducing forced quarantining when faced with the threat of a SARS pandemic. The threat of this particular Ebola outbreak reaching the UK may well have been exaggerated by media outlets. However, considering health experts’ recent concerns about our vulnerability to global pandemics of other kinds, perhaps we should invest time in ensuring that our legislation, and not just our medications, is fit for a medical crisis.